A classic fluorescent combo. You typically see the calcite fluorites from China or Morocco and they make wonderful specimens as they're well crystallized and brightly fluorescent. 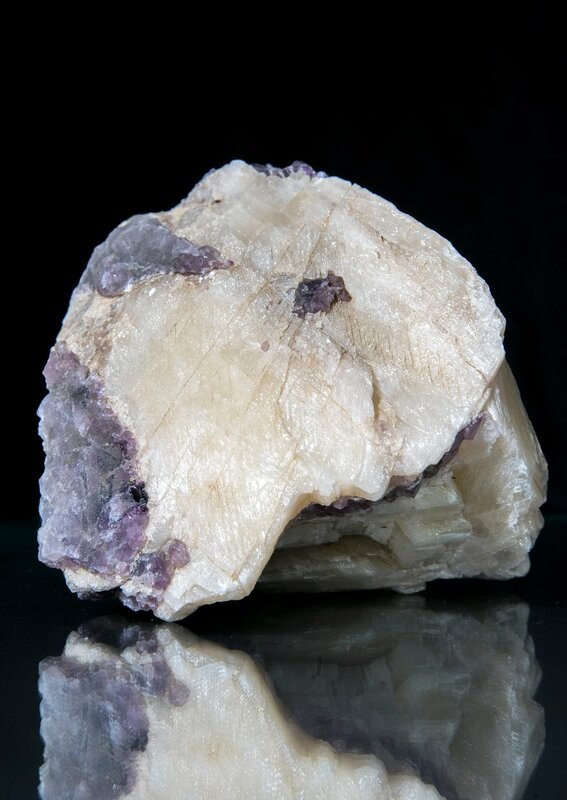 This Schickler mine material is mildly interesting though in that the fluorite is sandwiched between the calcite layers.